Warning, very sad melodies! Don't even think about listening if you have heart problems with someone...It will instantly make you crave for Rakı and some Meze. Even if you have no idea what those mean. 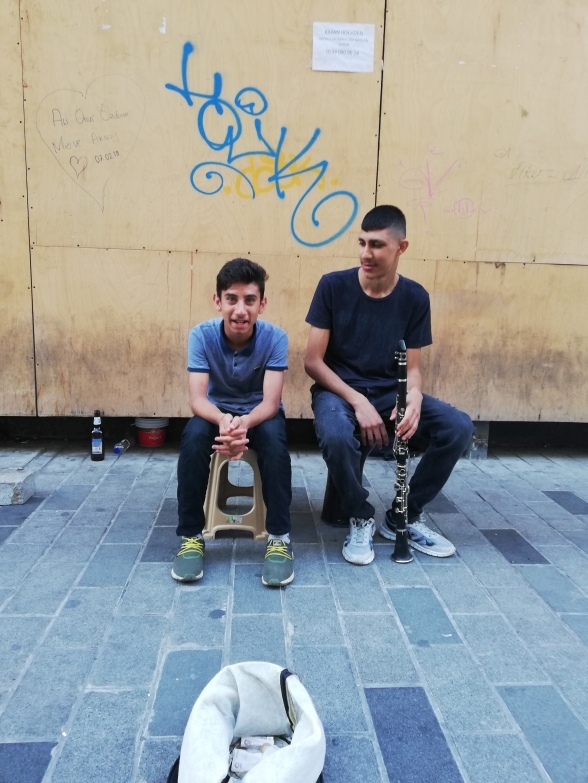 He's among many other street musicians performing in the İstiklal avenue of Beyoğlu/İstanbul. He wasn't the most proficient clarinet player i've ever met but i respect the kid's determination, hard work and honest means of making money. I cut some small snippets from his performance and stitched them together. There's still audible street noise in the background.